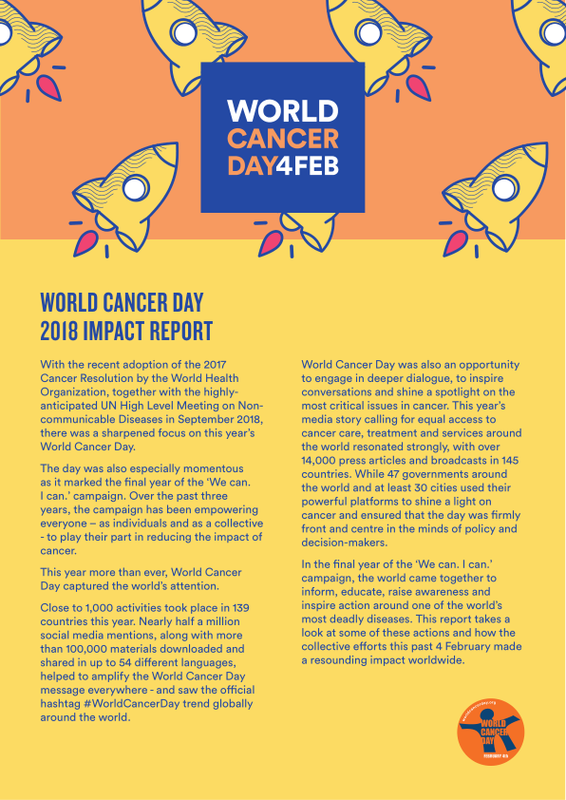 World Cancer Day 2018 was especially momentous as it was the final year of the ‘We can. I can.’ campaign. Over the past three years, the campaign has been empowering everyone – as individuals and as a collective - to play their part in reducing the impact of cancer.